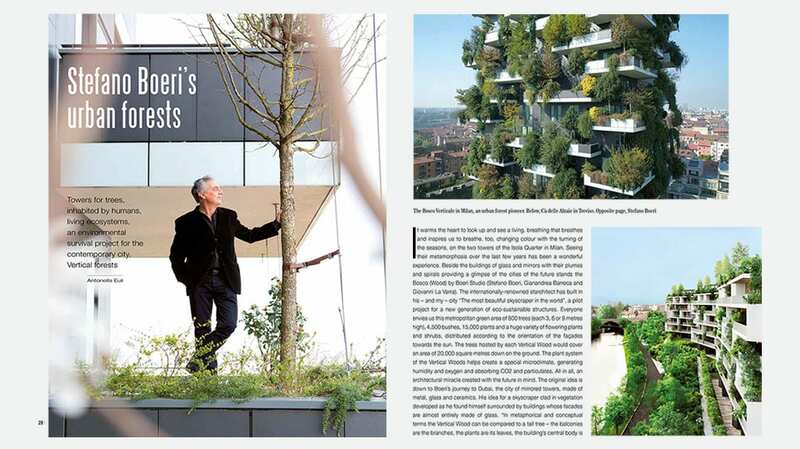 On the lifestyle Italian magazine Wonder World, an article dedicated to Stefano Boeri‘s urban forests. An idea of architecture which was born during a visit in Dubai, the city of mirrored towers. That whole of metal, glass and ceramics inspired an architectural prototype dressed in green, in which trees and plants become fundamental elements that characterize the facade and the functioning of this organism. The Milan Vertical Forest become a first model of architecture that contributes to tackle climate change effects and to improve the urban environment quality, making it healthier, pleasant and resilient. 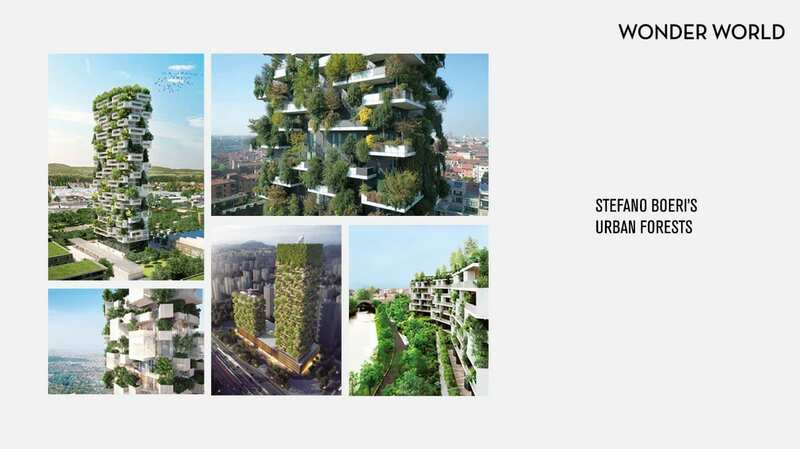 In fact today Stefano Boeri Architetti is working and building different projects that analyse and investigate the relation between humans and nature, between built and natural environment: the Lausanne Tour de Cedres with its four species od cedars, apartments, shops, gyms, offices and restaurants; the Nanjing Vertical Forest in China that encloses 4500 square meters of forest in a much smaller surface; Wonderwoods in Utrecht, that will host a Vertical Forest Hub, a research centre on Urban Forestry worldwide; the Forêt Blanche, which instead will conjugate the relation with nature also on the structural level using a wooden structure.